The first thing you need to know is that activities for Crop Over usually starts the second week of July with the the grand Kadooment parade taking place this year on Monday August 6th. Most visitors for Crop Over stay for at least a week, but if you are pressed for time I personally recommend staying from Thursday August 2nd to Tuesday August 7th, that way you can still enjoy the fetes and events leading up to the big parade. The best website for information is Kadooment.com, here you will find an events calender as well as information on costumed bands. Note that costumed bands for Crop Over usually launch in June/ July but you can have a look at last year’s costumes at Kadooment.com. Secondly you need to know that the BEST place to stay is on the South Coast; look for accommodation in Christ Church, Worthing or St Lawrence Gap (if you don’t like to sleep). Reason being it gives you easy access to all the fetes as most of the action happens on the South Coast, even if you are not partying there are many bars and pubs in St Lawrence Gap, Worthing and Rockley to keep you entertained. We were walking distance from Bubba’s Sports Bar which was always a good lime. The other thing is that the mini buses ply the South Coast running from Oistins to Bridgetown and are a cheap and easy means of transportation. After fetes there are always taxis lined up outside to get you back to your hotel in one piece. One piece of advice for those of us in the Caribbean is to always email hotels your self and ask about their Caricom rate, usually the discount is between 10 – 15% on the room rate per night which comes up to a good savings if you are staying for a week! Visit Barbados – There is a section specifically for Caribbean residents where you can take advantage of hotel specials in the Bajan Bonanza. VRBO Vacation Rentals by Owner – A good site if you are looking for a guest house for a group of friends. Intimate Hotels of Barbados – An excellent listing of small hotels, apartments and guest houses. be warned several of the properties listed are quite popular and are sold out early. Yellow Bird Hotel – it is close enough to the Gap that you can walk to all the action and stumble back to your room after a night of partying, yet it is not IN the Gap so you can sleep at night. Transportation is just outside your door and the price is right for clean, comfortable accommodations. Southern Surf – Ok, this one is a BIG secret that I am almost upset to share for fear of it being sold out! The location is perfect; opposite Rockely Beach,walking distance to Bubbas and Cheffette’s as well as there is a pool and the studios come equipped with a kitchenette. The price is excellent and it gets consistently good ratings on Trip Advisor. Worthing Court – Close to one of the best beaches on the South Coast, recently refurbished and very close to The Gap. Blue Horizon – Very small hotel opposite Rockely Beach, somewhat basic amenities but really good location and some rooms do have a kitchenette. Breakfast is included in the rate as well. Anthurium Suites – Not a hotel, but these apartments are well located and equipped for a group of friends. They tend to book up fairly early so if you need group accommodation send them an email now. Coral Mist/Blue Orchid – Sister hotels that are a bit more expensive than the ones I listed before; this is the place to stay for those looking for something more than basic accommodation but not willing to pay too much of a premium price. 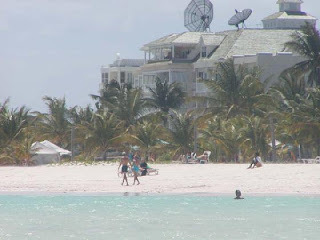 The hotels are located on Worthing Beach (spectacular), share two pools an a restaurant. Thirdly it would be shame to go to go to Barbados and not see more of the island than just fetes and the beach. Rent a car and explore!The last land visit I made to Barbados (I also went by cruise ship) the hubby and I took our rental jeep and drove all the way around the island stopping at Holetown, Farley Hill and Bathsheba, of course we got lost at least once but it was all in good fun. 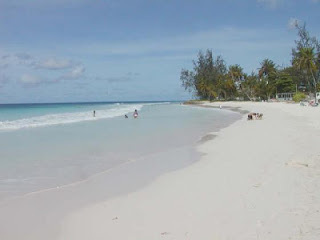 Next time I visit Barbados I am making Crane Beach one of my must see spots. We also went to Oistins for the Friday Fish fry which was the “tourist” thing to do but very good! The shrimp was excellent. And seeing as you will be spending so much time on the South Coast a visit to the West Coast beaches is a must. I like Paynes Bay which is quiet and beautiful but also enjoyed Mullins where I went on a jet ski and on a tour to swim with the turtles. Fourthly, Triniscene.com has been offering a Crop Over package for the past three years called “Destination Crop Over”. The package includes airfare, accomodation, costume in the “Trini” section of Baje International and fete tickets, however there are several options where you can customise your package depending on what you need. My friend took only their fete package where she got tickets to Baje fete, Glo, Caution and the Booze Cruise. The package will be offered from April and it is advised to book early. You can contact Triniscene through their website or call 1-868-622-6221 for more information. And lastly with Cricket World Cup taking place at the moment and the union of Liat and Caribbean Star bringing an end to “fare wars”, airfare prices to Barbados have been holding at over $250.00US from since December of 2006. Normally prices would have declined within the first quarter of the year but that does not seem to be the case for 2007. Therefore if you can book early for your airline tickets for Crop Over or you can hold out until the end of April/May for any fare specials that might arise after Cricket World Cup sees a drop in the demand for airfare, though I am not keeping the faith that prices will drop significantly. I will be doing updates for Crop Over as the information becomes available so all those planning on visit Barbados this year keep checking back!